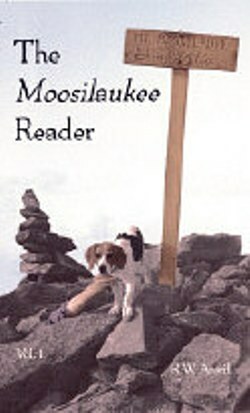 The Moosilaukee Reader, Volume I, edited by Robert W. Averill, 1999. Part one of a wonderful anthology of 19th and 20th century writing about Mt. Moosilauke, one of New Hampshire’s most beloved peaks. This volume includes 24 pieces from a wide variety of authors - travelers, naturalists, hikers, historians, tourists, and more. Of particular interest in this volume is the history of early logging on the mountain by J. Willcox Brown. Illustrated with photos & woodcuts. 306 pp, 4 1/8” x 7”.